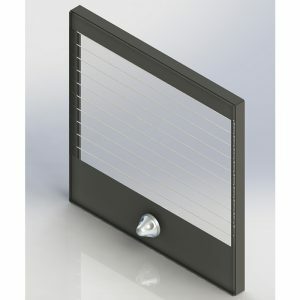 Stylish vision panel providing 80% visibility. IVision is a stylish clear to black vision panel which provides upto 80% visibility allowing patients to be easily monitored. It has been cycle tested to more than 40,000 cycles (10 years typical use) giving the end user peace of mind. This quiet manually operated panel has an Omni-directional feature which provides ease of use for left and right handed users. With the option of a Lifeline key, staff only need to carry one key to operate multi-devices. A stylish 2mm thick brushed Stainless Steel surround is now available, which gives maximum durability and is easy to maintain. Fire rated to FD30 & FD60, there are no visible fixings on the patient side. 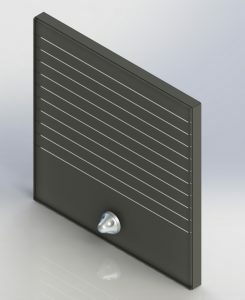 The pressed countersunk fixing holes help prevent the risk of the fixings pulling through the surround on abuse. Manually Operated, no wiring/mains power required. Interchangeable key to operate multiple devices. Cycle tested to greater than 40,000 cycles. Security and dignity of staff and service users assured using silent operation. 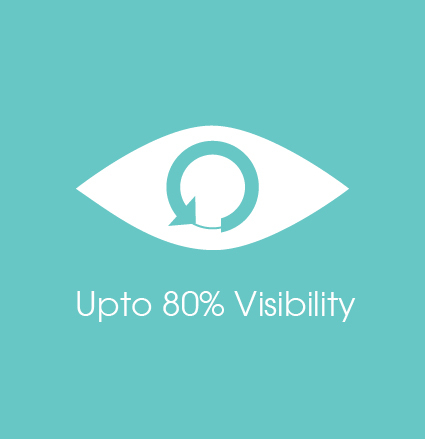 Monitor patients easier with near full visibility. Easy for left or right hand users. Staff only need to carry one key (Lifeline) to operate multiple devices. 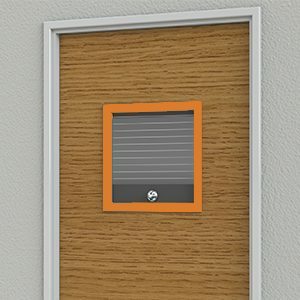 Quiet operation (controlled closing of glass and optional plastic key). Please note that Intastop offers a range of measures designed to reduce the risk of self-harm or suicide, and does not offer any guarantee that it will not take place. The solutions have been designed as a deterrent only. To be fitted as per the global assessment. Standard finish is clear to black.